Eden Mobility Gosport is the third of the new stores in the Southern Region to open and is located on the High Street, Gosport - on the busy pedestrianized shopping area and close to Barclays Bank. We have 6 used mobility scooters that are available to view at our Gosport store. High quality mobility scooters in Gosport are available to purchase at Eden Mobility. Come down to our showroom today and see our full range for yourself. We have mobility scooters to suit all including a range of small, medium, large and executive style scooters. 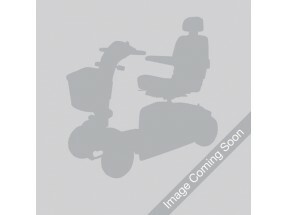 Eden Mobility have a huge range of powerchairs in Gosport, South Hampshire. Come down to our store on 48 High Street and see them all for yourself today; we have powerchairs to suit all. If you are looking for a rise & recline chair in Gosport, come and see our range at Eden Mobility. Our range of chairs are built using only the highest quality materials and are built to last. Take a trip down to our store on the high street today and try them out for yourself. Eden Mobility are able to provide stairlifts in Gosport and throughout the rest of the UK. The stairlifts that Eden can supply and install are the highest grade lifts around so you can rest assured you're receiving a high quality, durable product. Visit our store on the high street today and try out our demonstration stairlift for yourself! If you require a wheelchair in Gosport you'll be glad to know that Eden Mobility stock a huge range of them both online and in store. Visit us on the High Street today and see them for yourself.